Happened to be at the doctor yesterday…unexpected visit…and asked the question about timing. The dr indicated that the current flu vaccination has just come out and the dr indicated that they are waiting for their supply…which should arrive in the coming fortnight. The dr a l so said it sppears that some chemists appearred to have advanced supply (or maybe it it is more about marketing and getting one to signup for a vaccination and then wait until the vaccination is available). Australians can start getting the flu in May/June (if not earlier in some seasons). Leaving it later can increase ones risks in the emerging stages of the flu season, Particularly for high risk individuals. My particular dr recommended having the flu shot after easter/around the end of April to cover oneself for a earlier start to the flu season. The dr also said that he has no concerns in relation to the effacy period for myself and the flu vaccination should protect me for the whole of the 2019 winter flu season. Others possibly should slso discuss this with their own drs so they can get advice on their own risks and needs. We saw our doctor 4 days ago and she strongly recommended leaving our flu shots until early June. There is about a 6 week wind up to peak efficacy after vaccination so planning for April/very early May are best when seeking to get the vaccine. There is now discussion about getting booster shots throughout the year to ensure 12 month coverage because of the appearance of flu now appears year long, partly due to very fast travel & the many travellers in the world. April for us, and it’s free (one of the advantages of getting old, I guess). Absolutely correct - the longer you delay getting the 2019 flu jab the longer the period you are at greater risk of getting the flu. The risk of flu is now all-year-round - statistics of flu reporting over last few years bears this out; scientists have several therories as to why this is now the case. Absoltely correct - which is why people who are either at greater risk from flu (and its complications) or have higher risk of shorter period of protection, are now advised to get two flu shots per year - one early in the “season” and again later in the same “season”. Looks like this season may have started early. 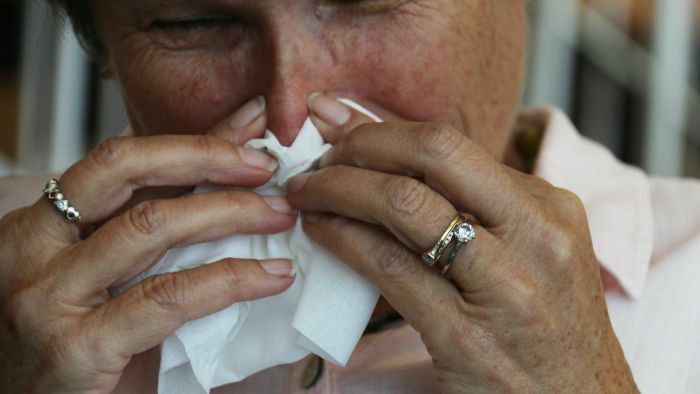 Health experts warn that they expect over 4,000 deaths from flu in Australia this year. 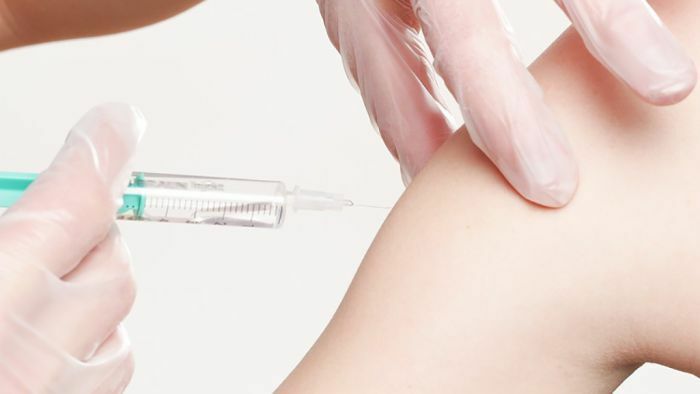 Three times as many Australians are diagnosed with influenza in the first three months of 2019, compared to last year. If you do not want to be one of them, then get your vaccination now. Looking forward to that! In the meantime I’m off to get my flu shot for this year. I don’t think a universal vaccine is possible since we don’t know what future flu mutations will be. The main reason why they fail is they don’t provide protection for all flus in that particular season, only those strains known at the start of the season and included in the vaccination. Often there are reports like ‘still got the flu eventhough I had a flu shot’. These reports can be true as a strain not covered by the vaccination can result in one still getting the flu. These reports are also used by those who don’t beleive in (flu) vaccinations as grounds to not have the annual flu vaccination…but often some level of protection (against specific virulent strains) is better than none. Off to get mine as soon as the local GP has received their supplies and completed their priorty patient’s vaccinations. @tpeter267 epidemiologist Dr Skowronski thinks: ‘The field must more aggressively purse’ such a vaccine. I think that’s good news, even if I don’t understand how it can be done, I leave it to the experts in the field. I had no idea it was even possible! That’s exciting. I dont believe a universal vax can be made. How can you possibly protect against strains which don’t even exist yet. The best that can be done is get protection for last years and hope that this years havent mutated so much that they are completely unaffected by the vax. I dont believe a universal vax can be made. How can you possibly protect against strains which don’t even exist yet. I suspect they are looking for a virus signature which is common across all strains. This signature is recognised by the immune system and ‘attacked’ before it takes hold. It will be interesting to see if it is possible. I suppose. I am cynical of the possibility for the reasons I stated. Not long ago it was difficult to believe that open chest surgery and heart transplant was possible. Quite true. But that was for technical reasons to do with surgical technique, getting reliable heart-lung machines and suppressing rejection. All challenges to be sure but things we knew in principle how to do to some extent, they had to be developed to become standard procedures. A universal vaccine requires a complete breakthrough in somehow getting the immune system to react to an antigen that it hasn’t seen before. Conceptual this is quite another matter as it is not just something we don’t know the details of yet but it is forbidden by current immunological principles. This is way off topic, sorry, but after wondering why after being vaccinated our antibodies start to lose effect only 3-4 months later, I googled this question and came up with some interesting websites. I have no idea how a universal long -lasting vaccine would be possible but when eminent epidemiologists and immunologists are willing to spend time and money on such a research I don’t feel qualified to question it. It isn’t always such a short period. This link gives a table for various common vaccines, as you can see some are for life. There are a number of reasons for this mentioned. Even for the short-lived cases you are still better off vaccinated - it’s a number game.